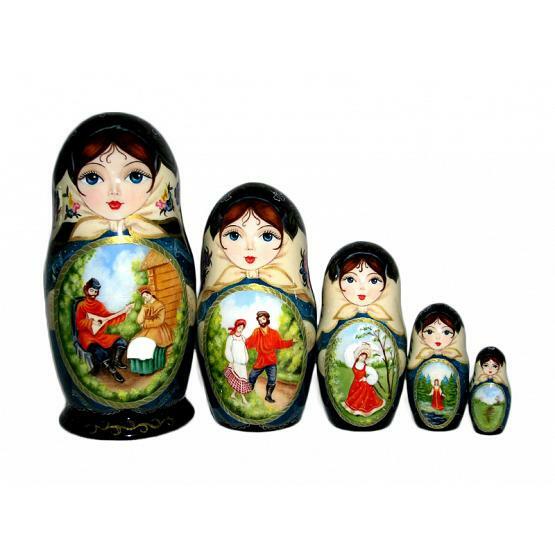 Exclusive quality traditional 5 piece nesting doll featuring miniature paintings of summer in Russian countryside. Hand painted and lacquered by a professional artist in Russia. Largest piece is signed. 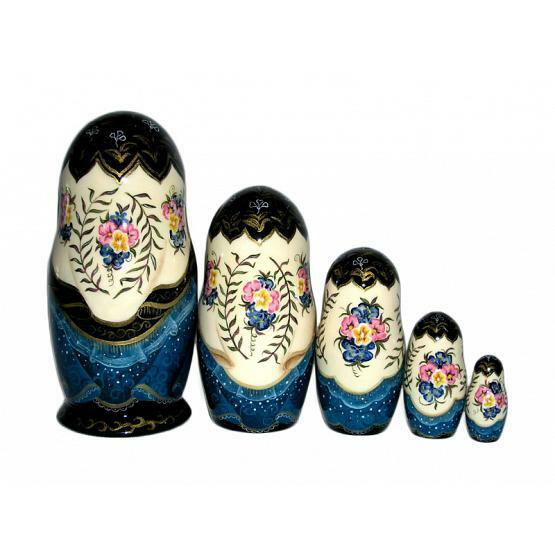 Height: 6.3" (16 cm). Production time: up to 20 business days.